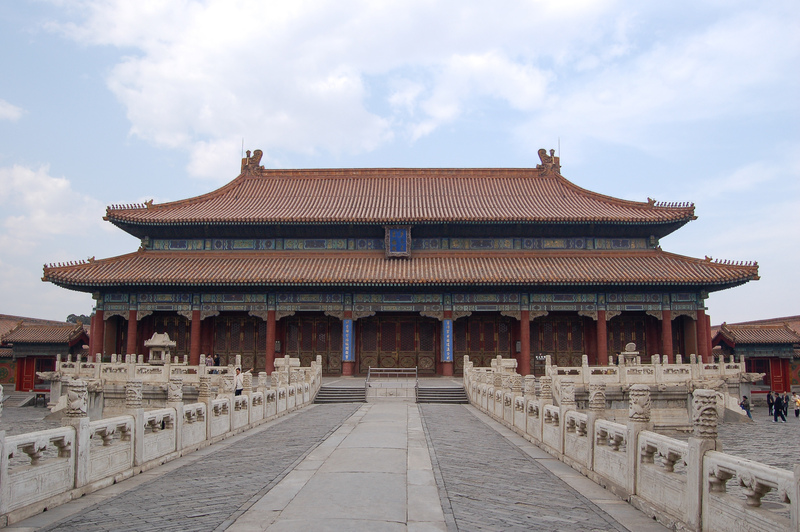 I visited Beijing for 5 days back in Oct 2008. The skies were blue, the air was crisp. It was the best weather I have ever had visiting China. I should post some pictures on my blog about my Beijing Trip to remind myself how beautiful the weather in Beijing can be. a terrific shot to enlarge…both the man but also the detail on the roof and building. so much information. and watching it unfold from the top down as it enlarged was magical…the red roof against the blue sky with the sculptures. works well as a distance shot and a close up.